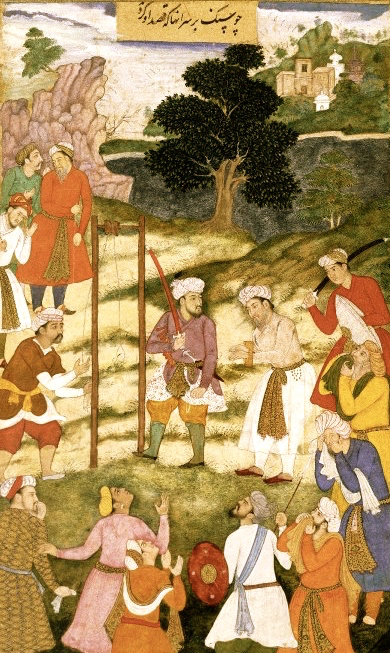 A painting depicting Sufi teacher Mansur Al-Hallaj being executed in Baghdad for blasphemy in 922. The religions of today have an immense problem in that they require a belief in the unbelievable and in some parts of the world, those who publicly question their legitimacy can be found guilty of the crime of blasphemy. It is no small issue, especially in the Muslim nations of the Middle East where people are murdered for it. Killing in the name of religion certainly gives religion a bad name, and it muddies the waters of who is irreverent. It is a mixed up world today, so it takes a keen eye to discern the truth from fiction. In the previous post, I wrote a little about Moses and the receiving of the Ten Commandments. This is an important story in the religions of Christianity and Judaism because it gives them a foundation, but the story is just a story and the directives are wrong. I will not list what has come to be known as the Ten Commandments because the only one that is required by God is non-killing. Although you still need to master the meditations, it is vitally important to hold to not hurting or killing any living being. We have been given the directives, and they have been carved in stone in ancient Egyptian and Pre-Mayan Temples and scribed in numerous ancient languages. What should be of interest to many is that every one of the ancient Holy Books of the world comprises the knowledge that a Loving God has given to his children. It includes the ancient Sanskrit texts of the Rigveda, the Upanishads, the Gita, the Avesta, the Quran, the Old and New Testaments of the Bible, and so on, but there is a problem with the translations of those texts in print today. The translators of those books are mistaken in thinking that the texts are written in the common languages of Sanskrit, Avestan, Hebrew, Aramaic, and so on. It is a big mistake because the texts are written in a Sacred Language and when they are translated as such, they say something quite different than is currently known. Yes, and interestingly, every one of the ancient Sacred Texts of the world advances the same body of knowledge. In such unfortunate times, it is particularly lucky that the Rgvedaschool cracked the code of the Sacred Language. When the code was broken, it was discovered that even though the ancient spiritual texts are written in many languages, they can be translated with a single dictionary. Furthermore, they share a consistent philosophy of kindness toward others, and yes, such is the very philosophy advanced by the Rgvedaschool. Here is a verse from the Holy Veda from the Heavenly Being. and to AH with compassion to be together.